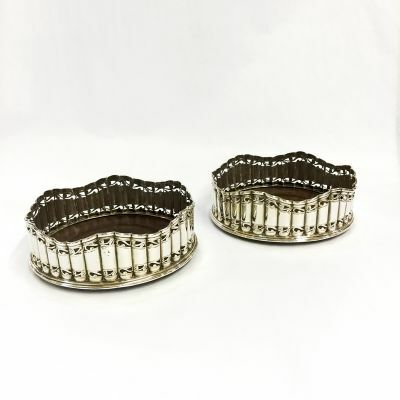 A wonderful pair of Antique George III sterling silver bottle coasters. The mark is obcured and attributed to Sheffield, circa 1786-1820. They are approx. 5.25 inches (13.83cm) in diameter (rim interior).